About Germany, the Netherlands, my roots and (not) fitting in. Current level: 1 cm high… eep! ? 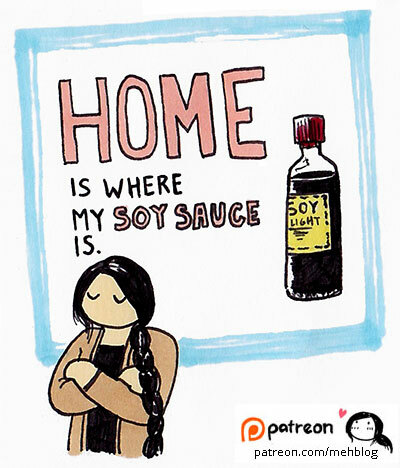 Soy sauce is the soul of many of my recipes! It’s also mentioned in this comic I drew about my (Chinese) cooking habits. February doesn’t win from December when it comes to holidays, but DANG! Talk about too many within one week! I’m throwing a café goodbye/Chinese New Year party and am cooking and decorating like last time…zombie mode awaits me on Saturday. …Scandinavia? Oh yeah, there’s food comics about that, too. One day. Death first. Here we go, comic #1! I’m now uploading the road trip comics I posted on Facebook on the go.